Like most folks, I receive a lot of mail. Some junk mail, bills, and many letters from families needing help. On a regular day there are 3-10 letters to review, refer and answer. This week was a special week. I received a handwritten letter addressed to me that contained something very special. I don’t know much about Courtney but I love that she wanted to send something to help me and TACA families. What I knew about Courtney is she has to be young – maybe 7 or 8 years old. She seems to know that autism can be tough and some with autism can suffer from many issues. Her letter and picture took my breath away. It is now framed and in my office. 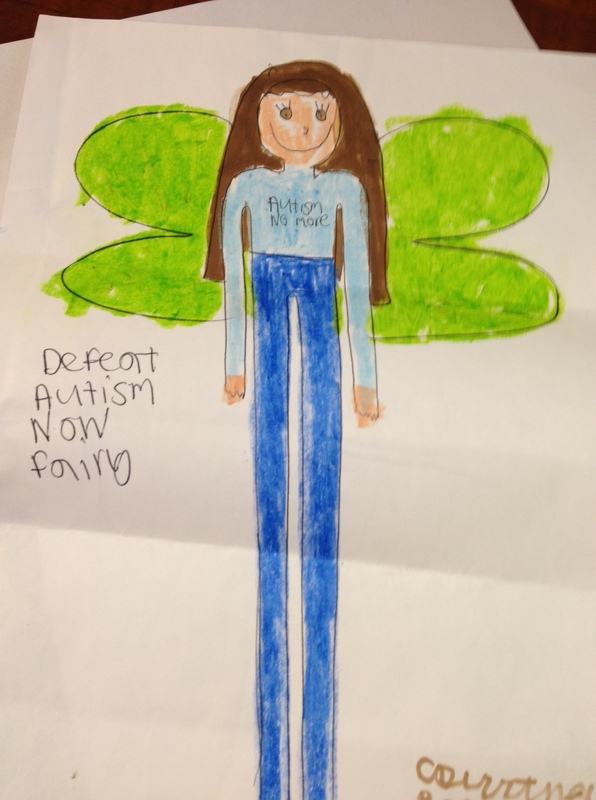 Perhaps you would like to see what her wish is with the Autism Fairy. Thank you Courtney. I know you care. We love that you do. I hope your fairy can help the hundreds of thousands of families living with autism and the children they love. awwww! Thanks Courtney, and thank you Lisa, for sharing that with us! How adorable…I absolutely love this! This post brought a much-needed smile to my face today. 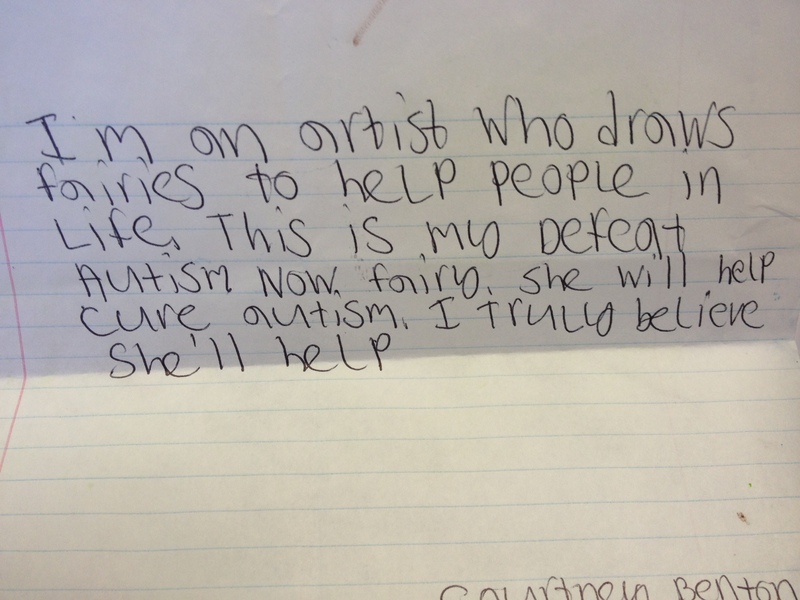 If you haven’t already replied to Courtney, please thank her for the beautiful picture and sweet gesture. Children have an uncanny knack for putting things into proper perspective for us, and this amazing little girl gives this seasoned mama hope on multiple levels…hope for my boys’ future progress, as well as a renewed sense of hope for society in general. In a world where our children are so often misunderstood and treated poorly by their peers, it is wonderful to know that there are individuals out there whose hearts and thoughts are with our children. Bless you, Courtney, and thank you!